← Where For Art Thou? 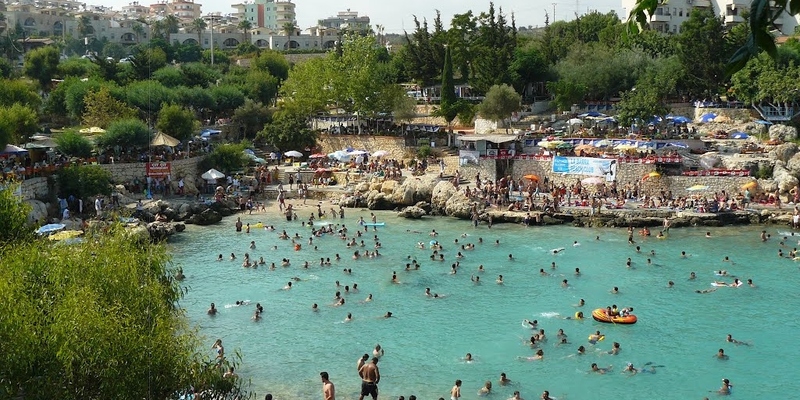 One of the great things about Mersin (or Icel) is that it is not usually on the international tourism wish list. I get it. I really do. It is an industrial and farming province. There is no airport and frankly no one speaks English. It is kind of cosmopolitan and unique but its lack of infrastructure, its occasional domestic issues and now its proximity to unstable borders means that it is not really a draw card for visitors. After all why come to Mersin when you can go to Marmaris or perhaps Bodrum for your sunfilled vacation? For those of us living here though it is a godsend that the international tourist passes us by. Why? Well if you, the international tourist, go elsewhere it means that the hidden gems found along this magnificent coastline are left for the Turkish tourists which means – Turkish prices! During Kurban Bayram the family and I travelled to Yaprakli Koy Susanoğlu and I honestly I feel like I have truly found my new favourite spot in Icel. Susanoğlu actually is part of the seaside town of Atakent, 65 kilometres west of Mersin and only 15 kilometres east of Silifke. Susanoğlu Playa itself is a nice enough beach but there is more to Susanoglu than the main beach. You don’t want the main beach. You need to keep looking. If you blink you will miss it for it is not on the main drag. It is a secret after all, locals only, and they are not going to give up its location to a yabanci readily. You are going to have to work for it. You will need to park your car. You will need to stalk a Turk (as no doubt they know where to go) but, with perseverance and a little good fortune, you will come across some ancient stone stairs on the side of a cliff (not as daunting as it may sound) leading through a smallish little forest. Through the pine trees you go until you get a glimpse of that perfect mavi (blue) sea. Step towards that colour and know that, finally, you have arrived at Yaprakli Koy Susanoğlu, a hidden gem along the coastline surrounded by Turkish beach clubs and restoranlar. This place bay has the feel of a party all day long. Families gather for picnics, girls sunbath in their itsy-bitsy bikinis while watching the boys prance by showing off their muscles. Old Turkish men do calisthenics on the rocks before making their way to the nearest lokanta for a glass of raki (medicinal I am sure). The surrounding restaurants sell simple Turkish food, but simple can at times be extraordinary with amazing balik, kofte and tavuk dishes on offer for the low non-touristy price of 10TL. Even more importantly the drinks too are ridiculously cheap and the Efes’ are ice cold. The music is blasting and it is always Turkish. No one, I repeat, no one speaks English and you will no doubt find yourself, as I did, sitting next to 70 year old Turkish lady who told me her life story. Sure you may not understand what they are saying but they will still talk to you anyway. I think I have found my incredibly cheap but now not so secretive paradise. Loving this blog? Please help me build my audience and share with like minded people who, like you, loves to find somewhere special and just love Turkey. You can also subscribe or like me on Facebook for all updates. This entry was posted in The Mersin Diaries, Travel and tagged beach, Bodrum, Icel, marmaris, Only Expats, susanoglu, The Mersin Diaries, tourist, Travel, Turkey, Turkish. Bookmark the permalink. . . paradise is full of people!!! My paradise is sunshine, family, friends, copious amounts of booze, music. A bit of a party! Lovely pictures. I know what you mean about tourism though. My home town is a tourist haven, with prices to match. People often ask why did I moved away, to which I reply ‘It’s a nice place to visit, but not to live’. It’s nice to come back to the boat. I felt the same way about Sydney. Lovely place to visit but crikey its definitely too expensive to live there! Holy crap yes to that! It’s even better there now since even most of the “local” tourists have gone away! Mel where are you situed? Whoops. Sorry, Janey. I commented then dropped off the face of the earth again…I’m in the Erdemli area. Technically and quite literally, on the border of Kocahasanli and Limonlu. Next time one of your dreaded dolmus rides takes you to the sites nearby, you should wave hello! Hey let me kbow if you ever get into the city. Meet up for a cay! Even better in November when all the charter flights have stopped. Thanks to your blog, I know about Mersin and am definitely planning to visit this beautiful place someday! We used to spend weekends just a little further west, in Silifke or Kizkalesi. Absolutely beautiful. Turkey is such a fabulous place! Kiz Kalesi is an absolute favourite of mine but its nice to find somewhere a little different every now and then. Silifke is next on my list to explore in the coming weeks.